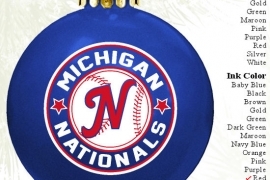 This acrylic ball ornament, available in variety to colors is the perfect way to personalize your holidays and create a perfect fundraiser, award or unique product for your gift shop. Printable with graphics, photos or text.. 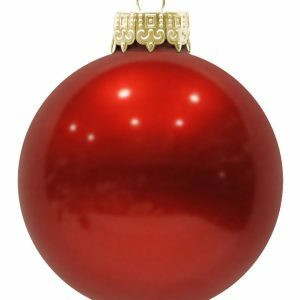 This 3.25″ diameter ball acrylic Christmas ornament is available in a variety to colors is the perfect way to personalize your holidays and create a perfect fundraiser, award or unique product for your gift shop. Printable with graphics, photos or text. 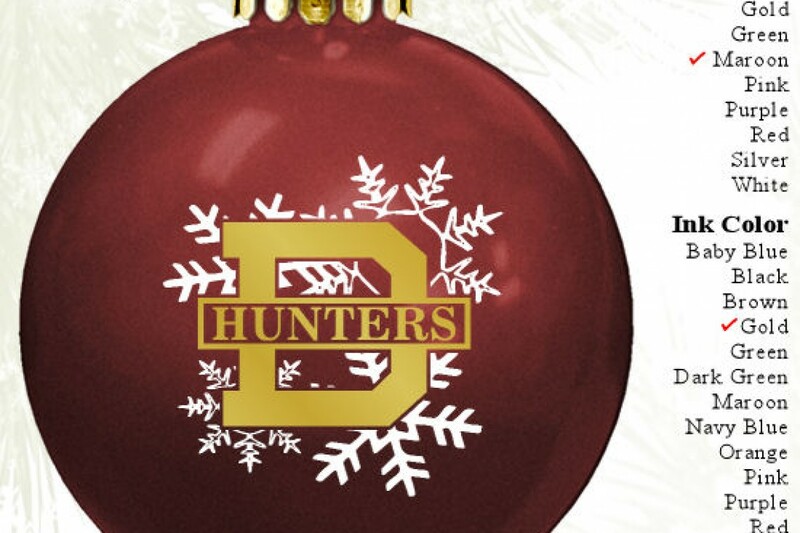 One Color Print on front only – Minimum order is only 50 ornaments. 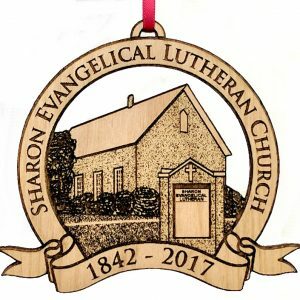 The perfect combination of price and quality makes these custom ornaments popular as a party favor, church fundraiser, school fundraising idea or company Christmas party favor. Not just a fundraiser, think Wedding Favors, etc. We have a great palette of standard color inks that print at no extra cost. Beyond the standard color inks, we can print custom ink colors based on PMS specifications at $40 per custom color. We can also print in FULL COLOR and the cost of full color print is the same as 4 color setup plus a $60 per order flat fee. Imprint area is from 1.75″ to 2″ Diameter Circle, depending on the artwork design. 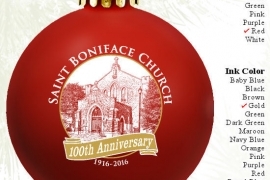 Christmas Ornaments – ACRYLIC BALL SHATTERPROOF – are one of the most popular fundraiser options. 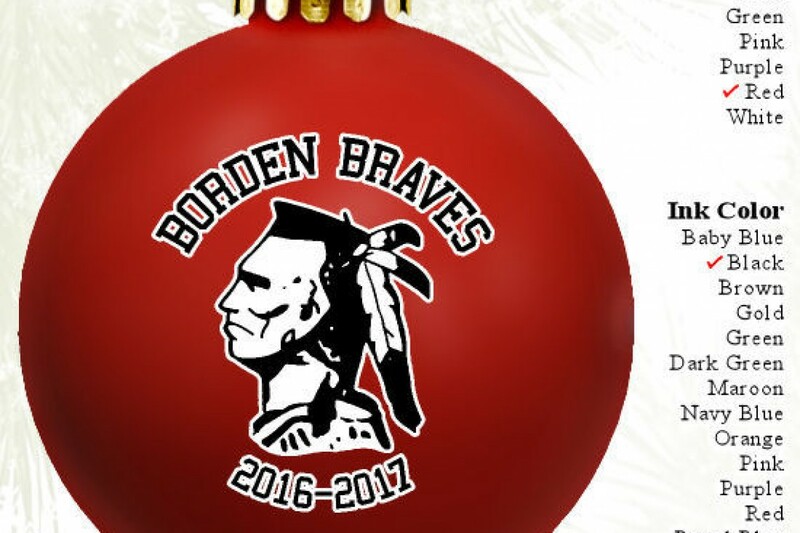 Super Priced – you can get 100 ornaments for under $3 each printed with your design, no set up fees. 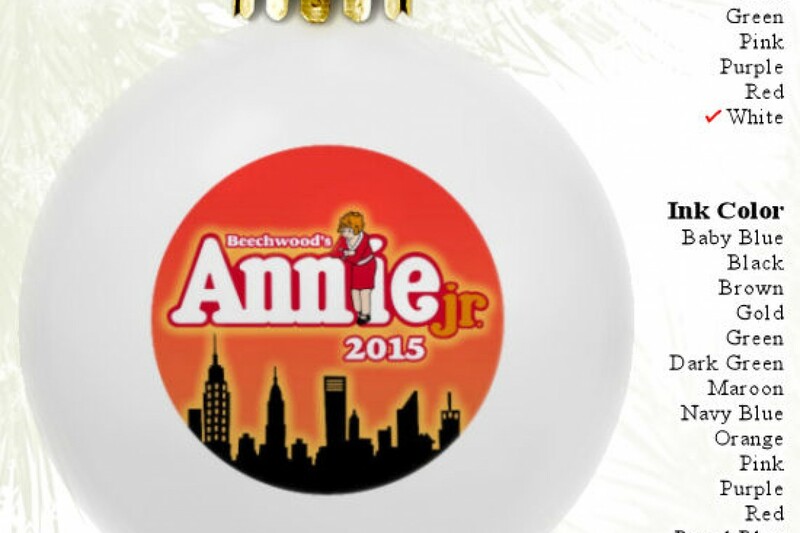 For 250 or more ornaments we can print 3 or 4 colors front and back location. Full Color Prints have minimum of 100 ornaments but remember there is additional $60 setup fee on Full color and Print area is only 1.5″ diameter circle . 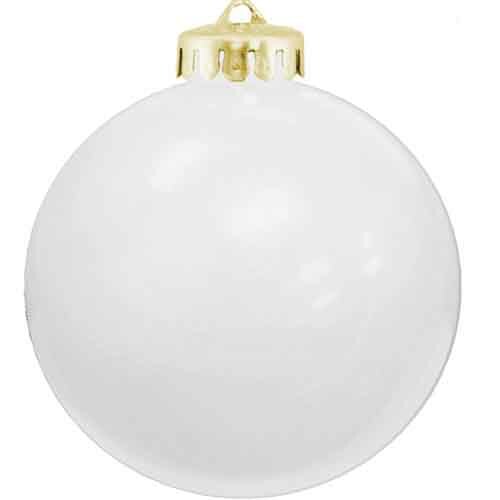 Ornament size is a nice large 3.25 inch diamater ball. Imprint Area: up to 2 inch diameter circle. 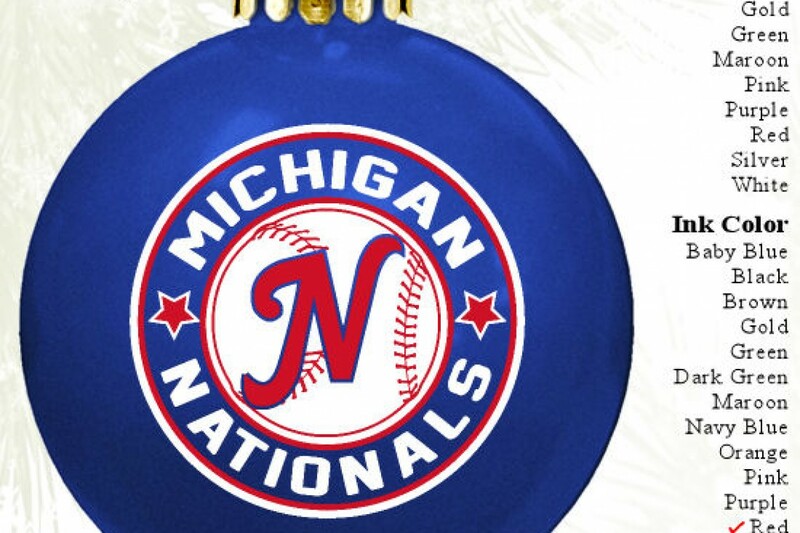 Topper of the ornament is always gold. 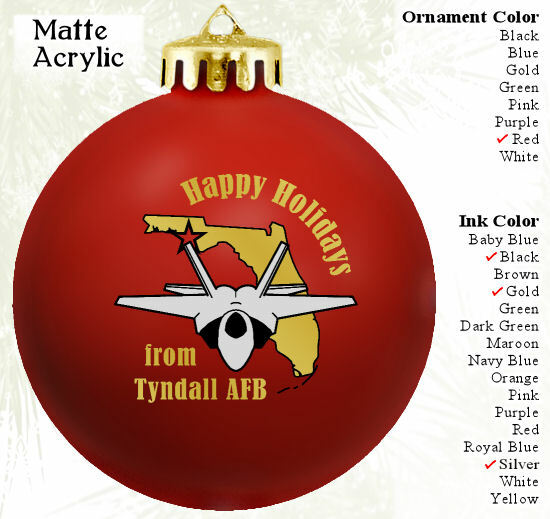 Available in a great variety of Colors. 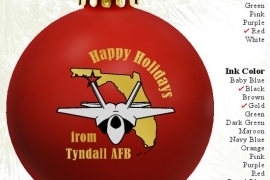 Call Fundraising Ornaments toll free 800 761 9627 – or – 305 745 2681 Monday through Friday 9 Am to 4 Pm Eastern Time. 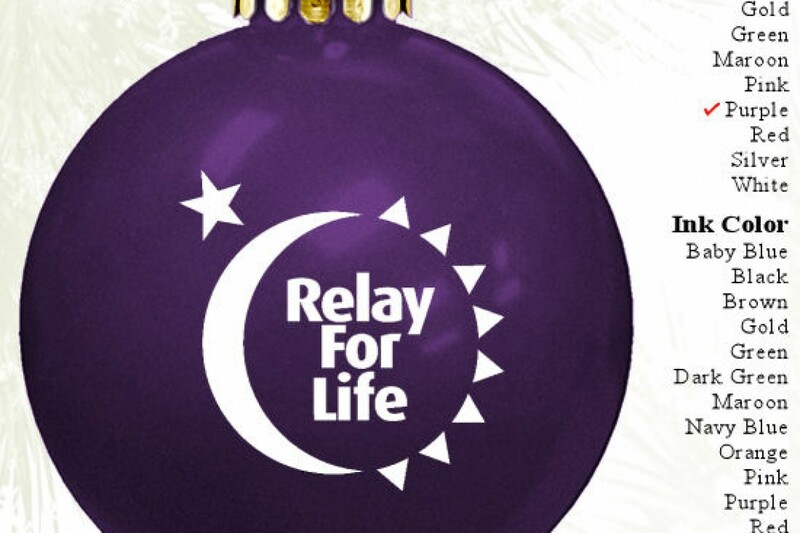 Our expert designers will be happy to fix any minor issues with your artwork free of charge. So no worries, if the online designer mock up does not look perfect, we will have our humans fix it during the pre-production process. We are happy to do a complete mock up design from scratch for you free of charge. We always send a digital proof for you to approve or make changes before we start printing.